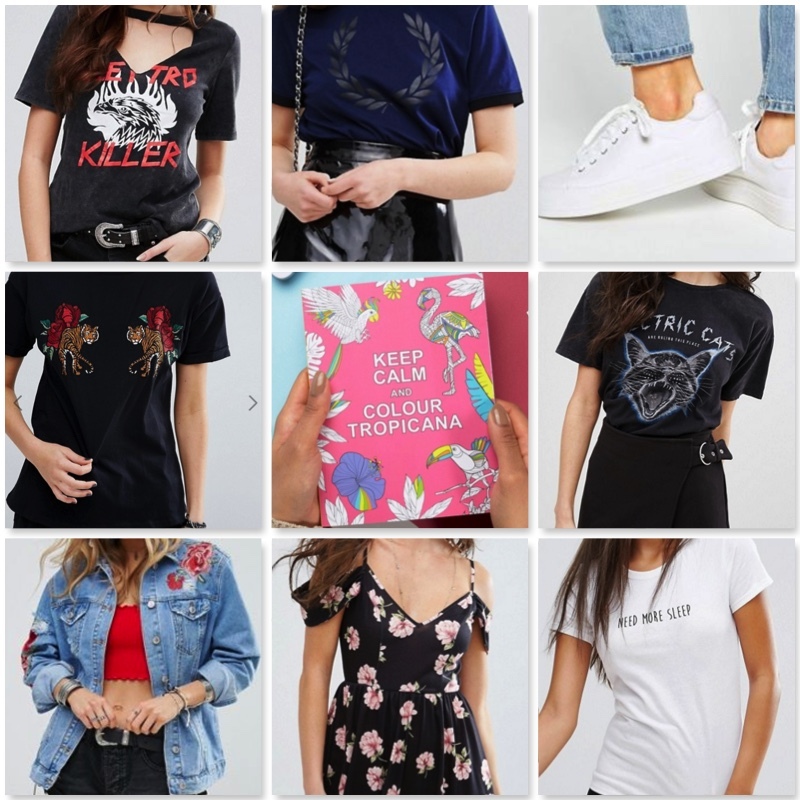 Here's a few items I am lusting over from ASOS for spring. One of my must have items at the moment is an embroidered jacket or patches on a denim jacket, I really would love a comfy slightly oversized one. There's something really summery about denim jackets, and if it's oversized you can have a hoodie inside it so if it does rain (which it does, it's England) you've got a practical hood. My style changes from day to day, but I'm loving the tops and dresses with chokers attached to them, and I quite like rock-style tees as I tend to pair them with my leather jacket when I go to the pub, and I feel like a boss in it. I really want the laurel shirt, if you're a film buff or know much about film festivals when you get nominated or when you win you put a laurel on your film poster. One of my favourite parts about spring and summer time is that you can dress a bit more casual as you don't have to layer so much and there's more room for accessories! Now that it's starting to get a bit sunny I'd love to sit in the garden with a cute colouring book and colour any stresses away, and this book looks so instagram-able! Love the Fred Perry shirt!